Some parts of the world are beset by a desperate need for better pediatric nutrition. The children in Sierra Leone, for example, as well as in other nations in the surrounding region, often do not have access to adequate food sources and for this reason do not receive the full range of nutrients that they need in order to grow up healthy and strong. Many of these children face dramatically reduced life expectancies and may not even make it to adulthood simply due to malnourishment. Malnourishment comes as a result of not getting the proper nutrients. If you grow up eating only one kind of food, for example, the likelihood that you will face severe malnourishment is greatly increased as opposed to the likelihood that children with balanced diets will face this issue. For this reason, we here at BeaVan Charities consider this to be one of the most important needs that must be met in Sierra Leone and elsewhere in the world before other childhood developmental issues can be addressed. Our goal of providing a full range of nutrients to the children who need them significantly affected the development of the nutritional supplements that we are seeking to provide to these children. Simply put, we have taken it upon ourselves to bring a nutritional supplement to the children of Sierra Leone and elsewhere that will prevent malnourishment from setting in. 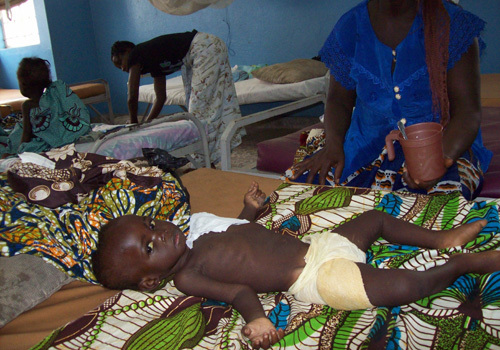 As children begin consuming this supplement after being admitted to the malnutrition ward a given pediatric hospital, the effects of the malnutrition will being to diminish, and the children will be able to build healthy bones, muscles, and immune systems to prevent the onset of further disease, which is often the primary issue that affects these malnourished kids. It is the decrease in the strength of the immune system that causes most of the issues, and as a result, if we can provide kids with the nutrients they need to have healthy bodies, these children would live longer and more satisfying and enjoyable lives. This is our primary goal here at BeaVan Charities. We have already developed and ascertained the ability to manufacture and distribute the supplements needed to support good child health. 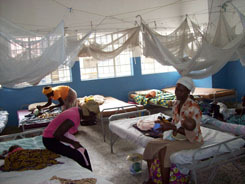 We have already spent time on the ground in Sierra Leone learning about the needs of the communities and families there and finding the malnutrition wards where these supplements are most needed. We have already developed an entire infrastructure to support our mission, and we have the personal experience and hands on information to make this project work. Good pediatric nutrition for children everywhere is not an impossibility. With your help, we can make it a reality all over the world. Join with us today and help us make the world a better place.